It's surprisingly difficult to get a snippet of text — be it an address, a phone number, or a link — from a Mac over to an iPhone. 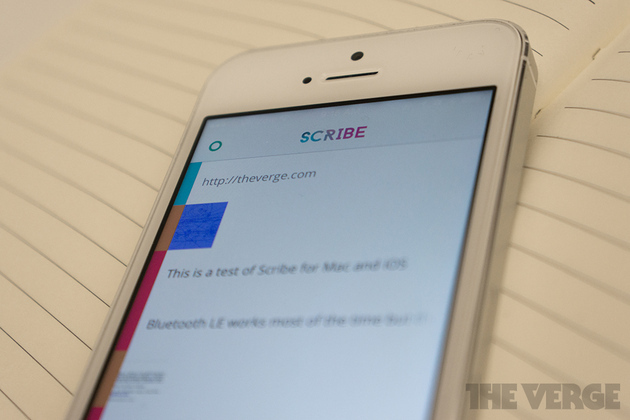 A number of apps have tried to make it simple, but few have made it quite so easy as Scribe. Launching today, Scribe pairs a lightweight Mac app with a simple but smart app for the iPhone. So long as both are running, copying text on your Mac with the keyboard shortcut cmd-shift-x will make it instantly appear in a notification on your phone.